Have you set leadership development goals and then not reached them? Creating solid goals is an important first step, and then what? How do we make the small, consistent steps over time that bring our goals to life? Does the research support any best ways to change our patterns and achieve our goals? Can knowing about how our minds and brains work with goals help us build a toolkit of methods to choose from, to help us along the way? We bring the most current research on successful leadership goal achievement into one fun, memorable program. 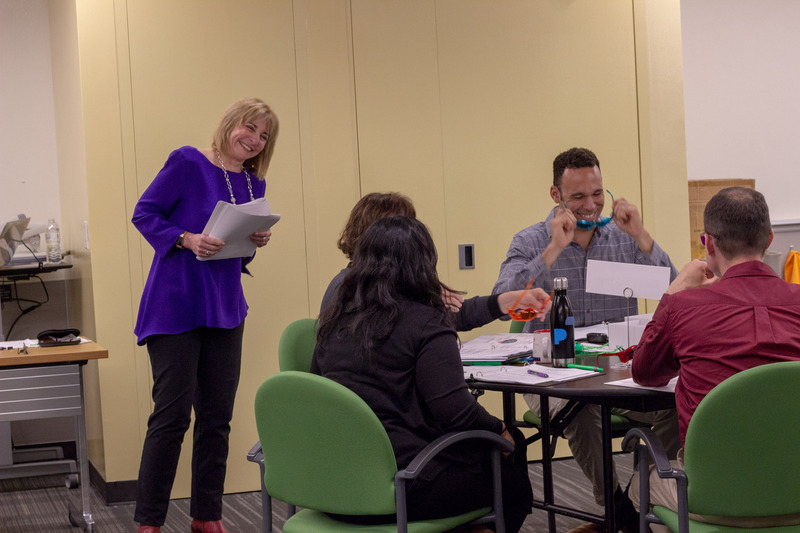 Combining information from neuroscience, psychology, mindfulness, and studies of individual and organizational change, the NeuroStroll™ provides an experiential immersion in how to really enrich the goal attainment process and maximize positive outcomes. Participants experience a number of NeuroStroll™ exercises, each one designed to share information and concrete to-dos for goal achievement while also giving information about the mind qualities and brain anatomy supporting them. Each participant will receive a NeuroStroll™ Guidebook to use throughout the experience. This provides a personal space to do some reflective writing and thought exercises, and a way to take home the experience. 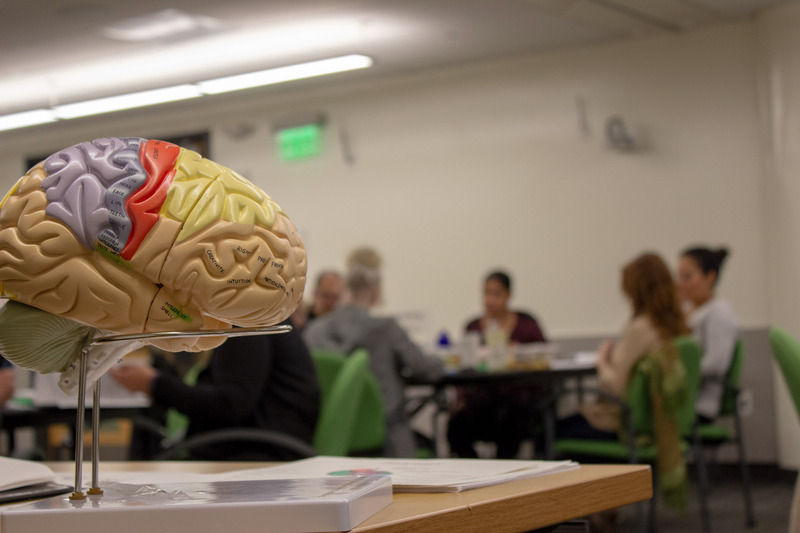 The exercises include some group discussion and activities, and each includes an introduction to relevant areas of the brain. The Guidebook contains the Exercise sheets used during the NeuroStroll™ and a multi-color custom designed brain graphic, giving a visual map for this information. Participants are also invited to step into a 15’x15’ NeuroStroll TM brain mat in order to fully experience and understand which parts of the brain to access in order to attain their leadership development goal. Participants keep the Guidebook, now customized through their own experience on the NeuroStroll, for their ongoing use in meeting their goal(s). The complete take-home Guidebook also includes summaries about mind, brain, and goal science at the NeuroStroll™ stations, as well as further resources and references. The NeuroStroll™ was conceived, designed, and developed by Dr. Marcia Ruben, an Associate Professor at Golden Gate University and President of Ruben Consulting Group. Dr. Ruben’s career includes decades of work with large, medium, and Fortune 500 corporations in a variety of industries. Dr. Ruben retained Dr. Debra Pearce-McCall to assist in the initial design and development. Dr. Pearce-McCall is a consulting psychologist, with decades of experience in neurobiology, teaching, and leadership development. The NeuroStroll™ experience can be customized in several ways, depending upon your organization’s needs. Our goal is that each participant learns how to use the NeuroStroll™, a tour through our mind and brain capacities, as a personalized and impactful set of tools to make and sustain positive changes..